A first team All-American in both 1987 and 1988, Tracy was honored as the NCAA Player of the Year in 1988 to become the only University of Miami golfer to ever win the award. 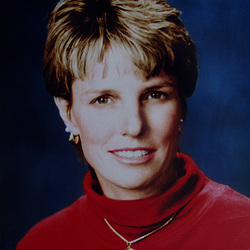 Kerdyk won 11 individual titles including the Ryder/Florida State Championships in both 1987 and 1988, and she was the 1987 Canadian Amateur Champion and the Public Links Champion. She was the runner-up in the 1987 Women's Amateur Championships. She represented the United States against England and Ireland in the 1988 Curtis Cup. Tracy spent ten years on the LPGA tour, winning her first tournament in 1985. A native of Coral Gables, she attended Coral Gables High School.